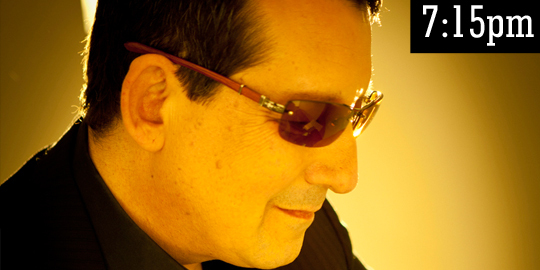 Jeff Lorber » Austin Jazz Festival | Memorial Day Sunday| Austin Texas - Keep calm and jazz on. Jazz musician Jeff Lorber is known for complex harmonies, unconventional time signatures, synth-heavy sounds and integrating rhythms gathered from music around the world. Jeff is a keyboardist, composer, and music producer who has been nominated for GRAMMY Awards on multiple occasions, been sampled by Hip-Hop artists, and whose music sets the tone for global platforms beyond CDs, including on The Weather Channel and a video game soundtrack. Raised in Philadelphia, Jeff was raised listening to his mother’s classical piano playing in one ear and the Philly Sound of the 1960s and 70s in the other. Jeff has been taking jazz music to The People as a soloist since 1982, helping usher the jazz world into its contemporary phase. “More Modern” is smooth grooves and solid beats from R&B, Hip-Hop, Latin American music, wherever Jeff finds them. He balances the scene, reminiscing of the Philly Sound, calling to mind everything from Pattie LaBelle to Hall & Oates, and the Cameo Parkway label’s release of Chubby Checkers’ albums in the 1950s. Jeff attended Berklee College of Music in Boston before founding the JEFF LORBER FUSION in Seattle the late 1970s. The band’s album WIZARD ISLAND (1980) introduced the world to saxophonist Kenny G. Jeff then settled in California with the aim of working with some of the world’s greatest musicians. The 1990s were good to Jeff professionally. The track “Rain Dance” from his album WATER SIGN (1979) was sampled by both Lil’ Kim and SWV in the mid-1990s. He was the keyboardist for the PlayStation video game CASTLEVANIA: SYMPHONY OF THE NIGHT (1997). The new millennium is looking pretty good, too: Jeff has been nominated for three Grammy Awards, for Best Pop Instrumental Performance for FLIPSIDE (2005), Best Contemporary Jazz Album for NOW IS THE TIME (2010), and Best Pop Instrumental Album for HACIENDA (2013). Texas native saxophonist Everett Harp and jazz guitarist Chuck Loeb on the Jazz Funk Soul tour. Jeff’s music is a doorway between alternative, fusion and standard jazz, and he’ll be bringing it to the people at the Austin Jazz Festival. Visit Jeff’s website for more information.